Spring forward. 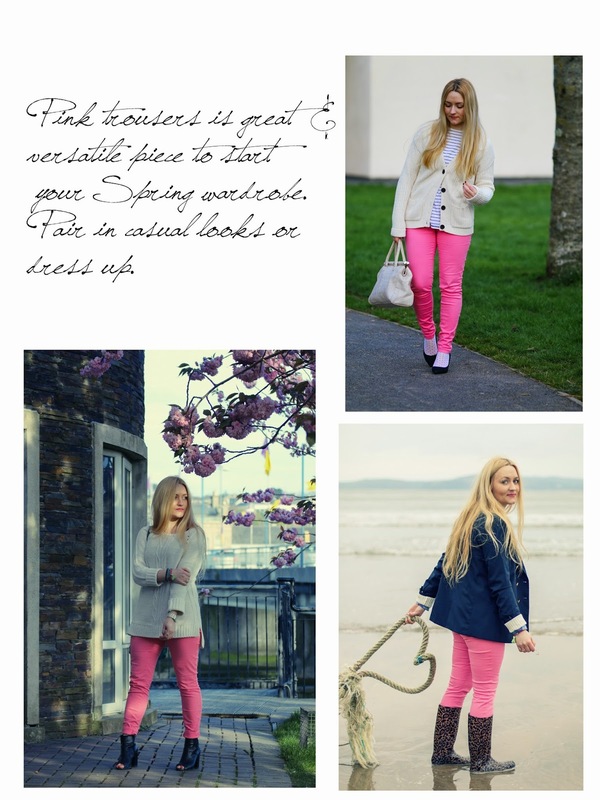 When ever I want to bring Spring with first sunbeams I reach for my pink jeans. I picked them up them on sales rack, I think 2 years ago. I wasn't sure if I will keep them, but I wanted to try add some color to my wardrobe. As you can see I pair them with neutrals and if I'm craving more color I add just little bit with accessories. Especially I like pink and grey combo, but I admire those who are not afraid to pair pink and orange or red. I love all colors but I am biased when it comes to pink and fuchsia. So I agree with you completely and like all of those looks with your pink jeans. Have a great Friday, dear Ramona! 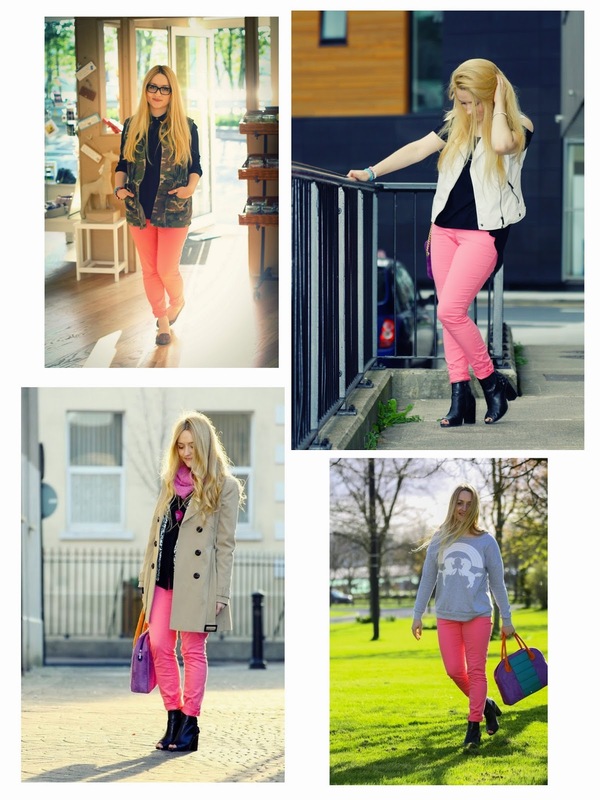 Love these pink trousers on you and how you put them together! I love them with that trench and great open toed booties! That shade of pink always makes me SMILE! Love them. Hi Ramona and thank you for stopping at my blog!!! I like very much these pink pants, perfect for this season. It makes me really want to spring and summer!!! So many cute ways to wear pink! I love it! I like pink and grey combo too, these shades supplement each other perfectly well. I must say each of those outfits is special and original, most of all I like third one. All in all, all of those snapshots are so lovely! I would seriously never think that pink pants were that versatile, my mind is slightly blown! I especially like the sweater outfit (the first one). I like how cozy it is, but still wonderfully spring-y. Those pants are so beautiful, love the way you styled them!!!! your pink trousers are so cute!! I have a pair too and always wear it during spring! I love all the looks! Love the pants. My favorite outfit is the first one!